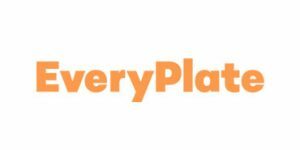 We have had the pleasure to taste the amazing meals offered by both EveryPlate and What A Crock and we completely understand if you are having a hard time deciding between the two. In this EveryPlate VS What A Crock comparison, we highlight all the strong and weak points of these two popular services in order to help you find out which one better suits your individual needs and which one is objectively superior to the other. What A Crock allows you to prepare delicious and affordable meals by simply dropping the content of your meal kit into your slow cooker and letting it cook on low while you finish your daily tasks. What A Crock offers one menu divided into various sections, such as beef entrees, chicken entrees, pork entrees, vegetarian & vegan entrees, soups and sides, and more. It also provides meal bundles. What A Crook features 100+ meal options and 10+ meal bundles on its menu. What A Crock offers slow-cooker recipes for beef, chicken, pork, seafood, vegetarian, vegan, gluten-free, low-carb, and lean entrées, dips, soups, sides, and desserts. Its recipes are incredibly easy and everything you receive is ready to go into your slow cooker, with no prep required. What A Crock promises to use only the best ingredients, craft all the sauces from scratch, and use no added preservatives. What A Crock meals come in portions weighing between 1.5 and 2 pounds. The meals are rather well-balanced and rich in nutrients but may contain significant amounts of saturated fats. For any information about subscription flexibilty, you should contact What A Crock directly. For any information about refunds, you should contact What A Crock directly. This company is by far the best service I have tried, unlike the other companies there is no prep for the customer and the food is outstanding. If I'm to busy to shop for my meals then I am probably too busy to spend 45 minutes to an hour in the kitchen prepping them. With What a Crock I literally cut a bag open and turn on my slow cooker and my job is done. Give this place a shot and thank me later! 5 Stars all the way from value to taste to convince to customer service this company is a life saver for a busy mom! What a Crock has made my busy schedule so much more bearable and the food is amazing. Great food servings are huge and the customer service is outstanding. I am currently on a meal plan with this company and everything has been top notch. I cant say enough good things about this company. The quality, quantity, and taste all exceed expectations and the customer service just puts the cherry on top. I had a very small issue with one of my meals (it was missing a pack of rice) after reaching out they went above and beyond to make sure I was happy. Delivery was also fantastic. After reading a little about the company I realized they are a smaller family owned business and because of that I did not expect to receive my meals very quickly but but I place my first order at 9 am on a Thursday and they where waiting for me Friday when I came home from work, I placed my second order on a Sunday evening and had my meals waiting for me on Tuesday. Give them a try you will not be disappointed!